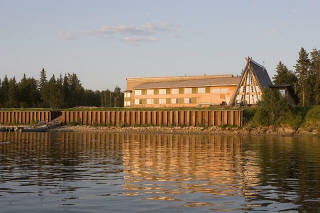 Evening view of the Ecolodge from the river. 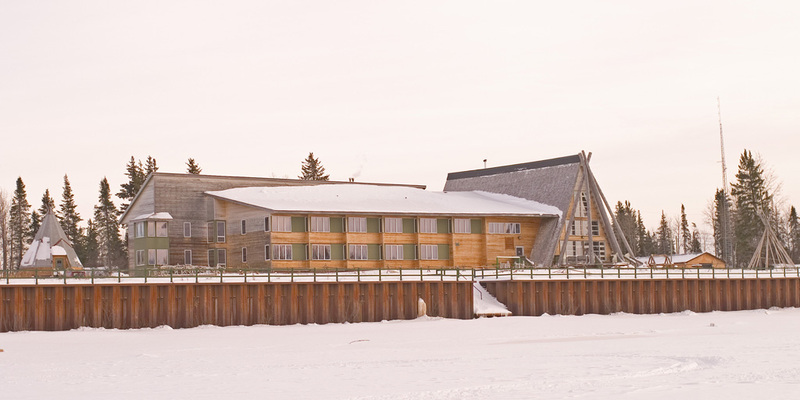 River view of the Ecolodge in winter. 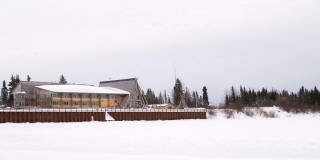 Ecolodge seen from the ice road from Moosonee. 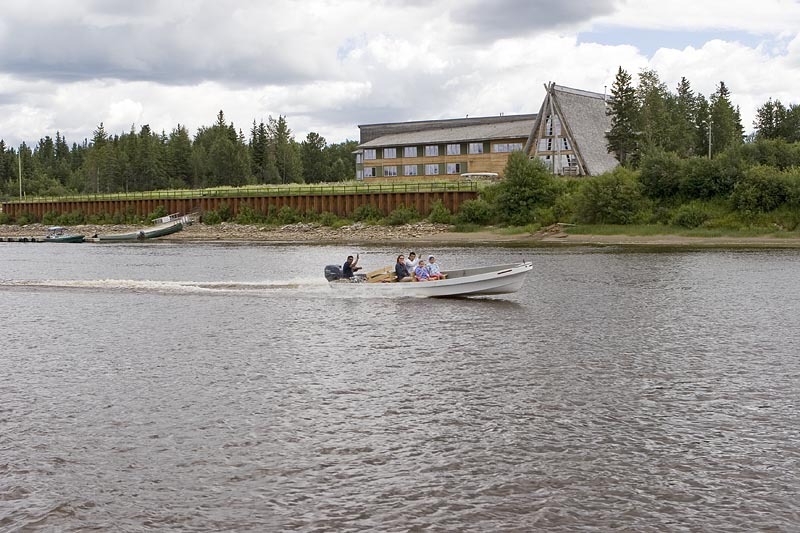 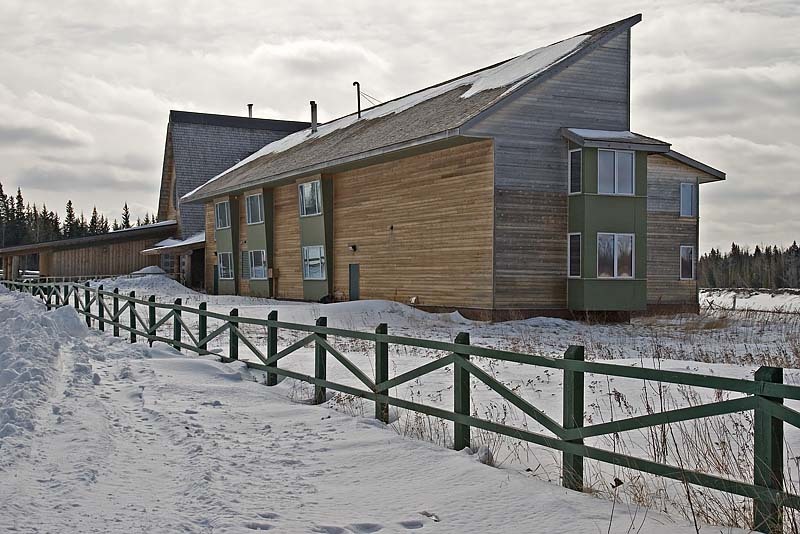 Ecolodge from ice road on the Moose River. 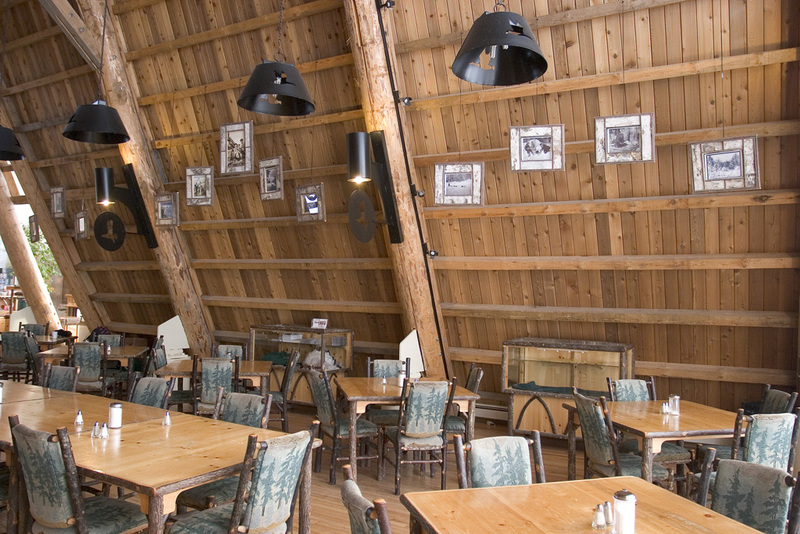 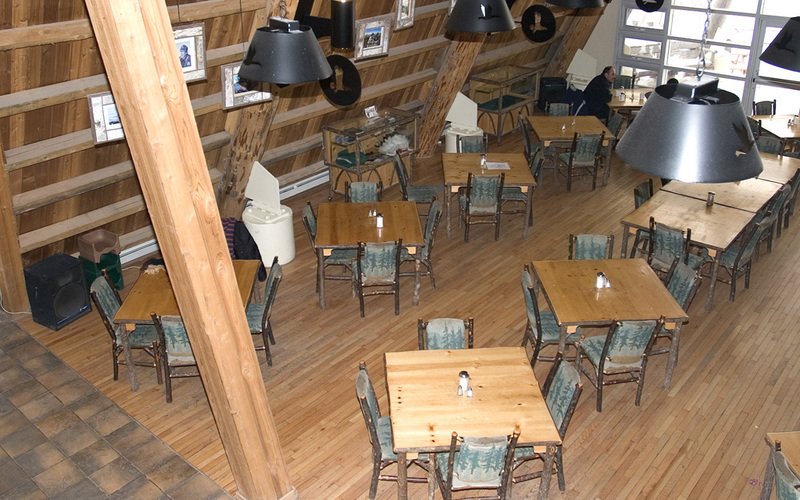 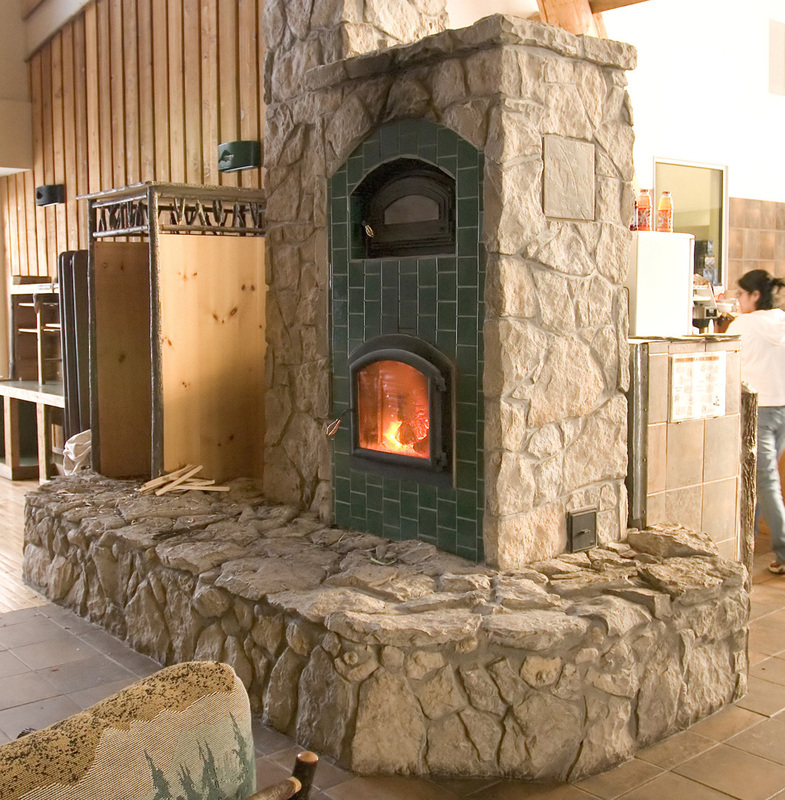 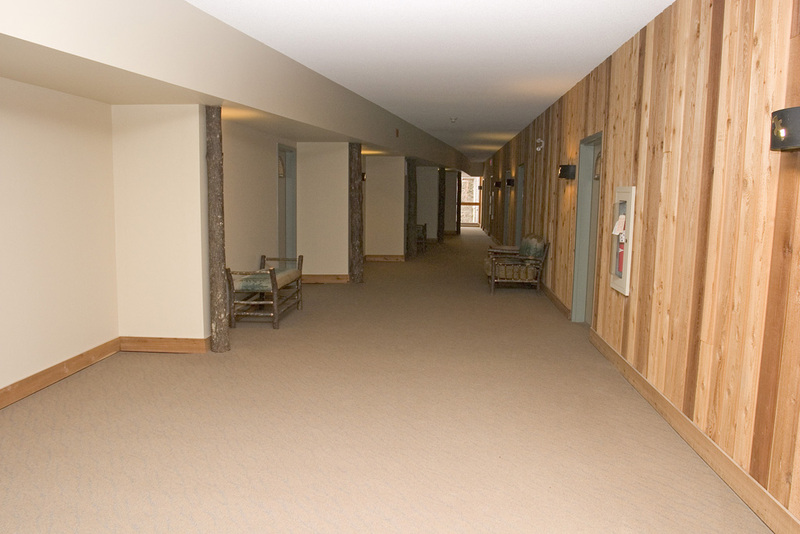 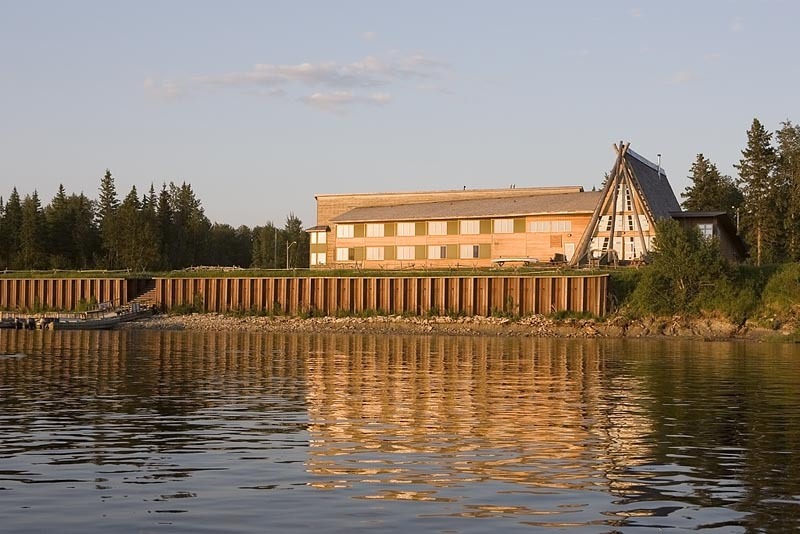 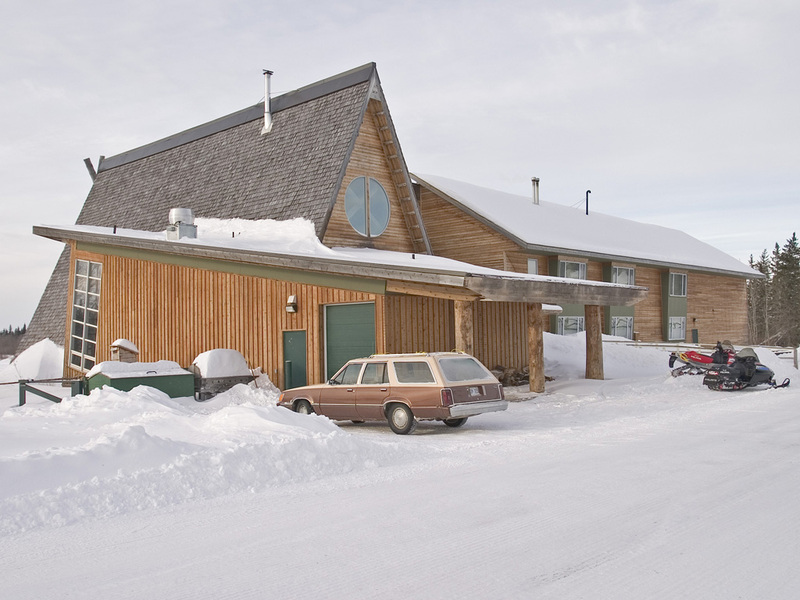 The Shaapuhtuuwan Dining Hall includes portraits of local elders and land. 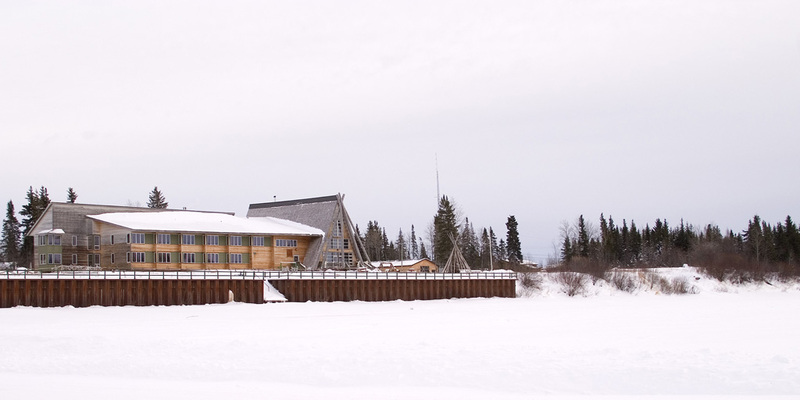 Balcony view of the Shaapuhtuuwan Dining Hall. 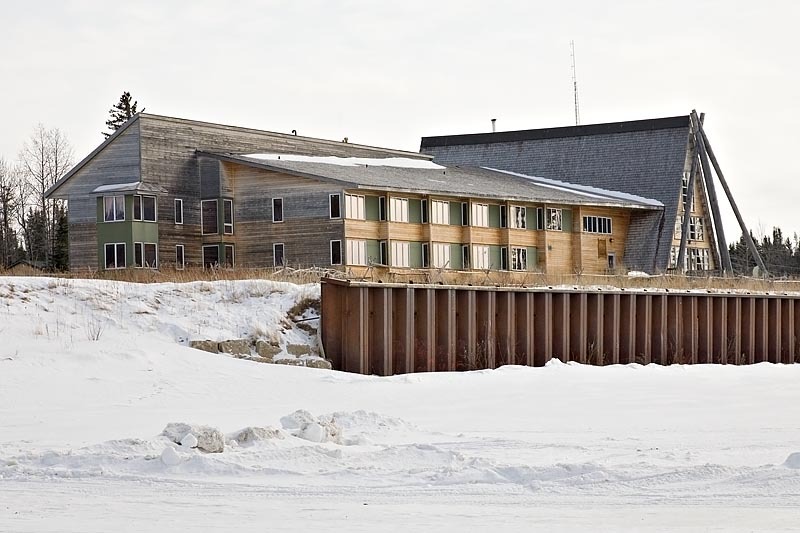 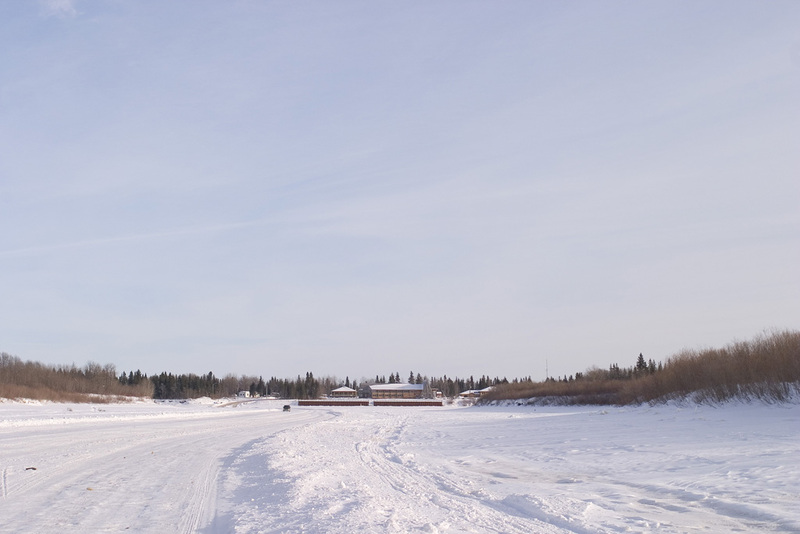 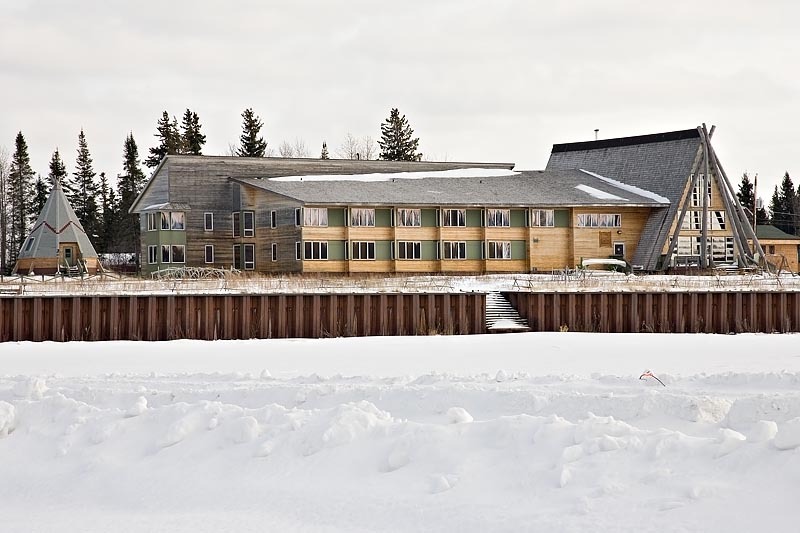 Front of Ecolodge from Hospital Drive, Moose Factory. 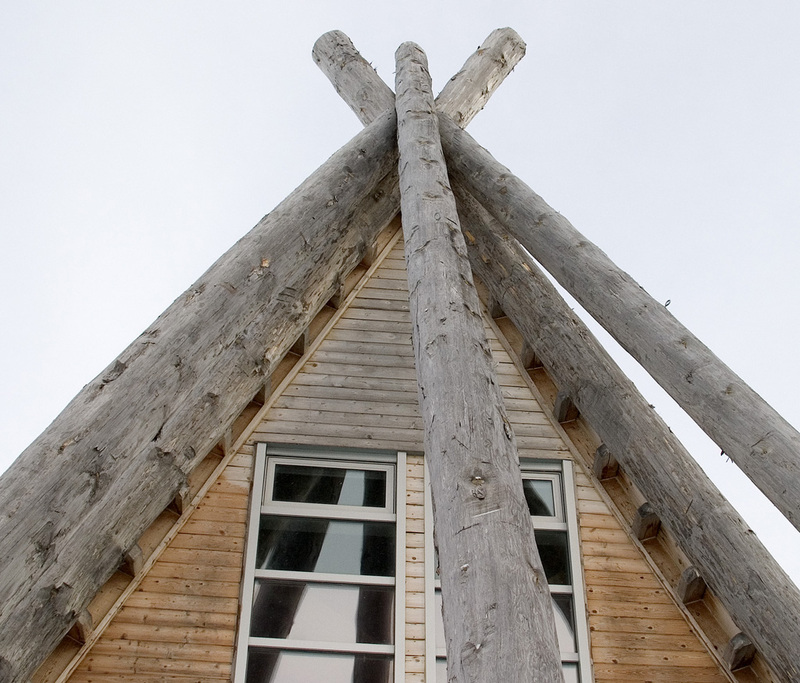 Construction detail of timbers that were transported from Northwestern Ontario. 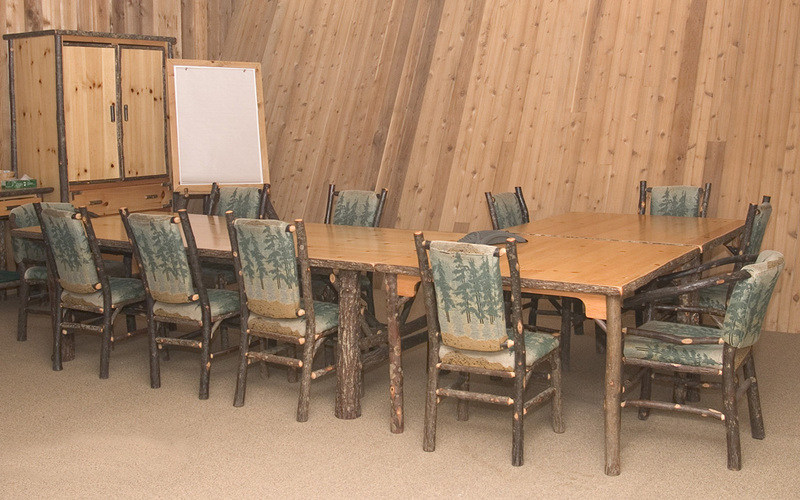 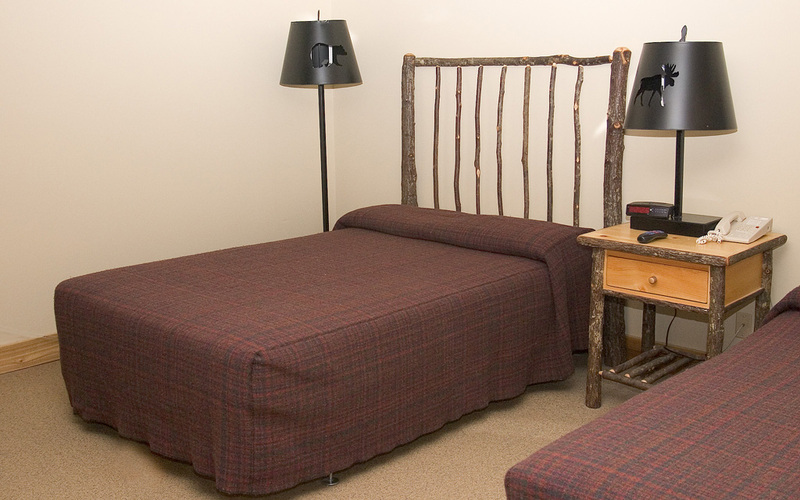 The largest guest room includes space for small meetings. 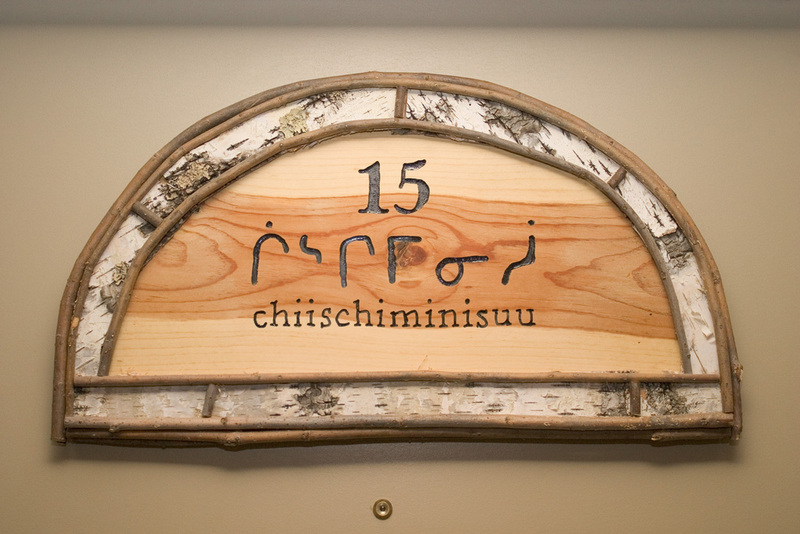 Each room has a name written in Cree syllabics, this is the Kingfisher Room. 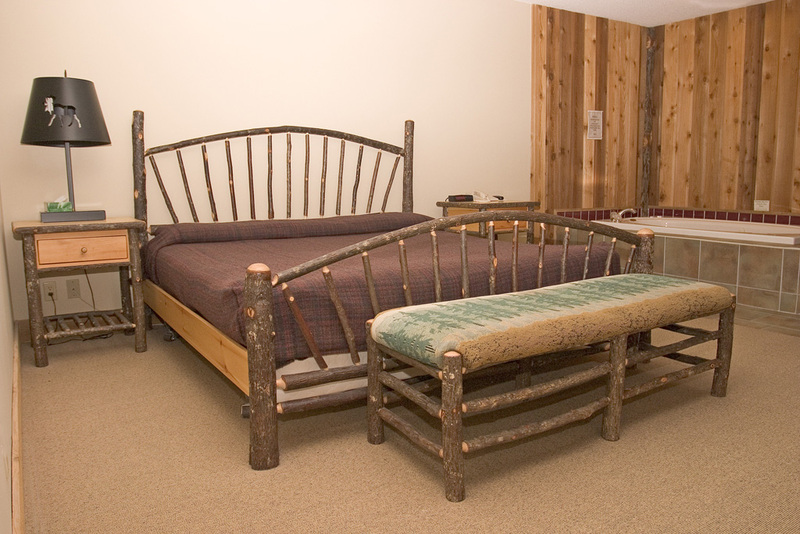 The Honeymoon Suite includes a king sized bed and a Jacuzzi.